Join us on May 6th, from 9:30 to 11:00 AM, for our Meeting with Tom O’Leary: Understanding Special Education Law. Tom, attorney and parent of a child at The Cottage School, will be providing an overview of New Jersey law as it relates to the rights of parents and the legal responsibilities of school district with respect to children who are in private school placements. Tom practices in the areas of complex commercial litigation with an emphasis on construction law, bad faith litigation, and special education law. A substantial focus of his practice concerns the legal rights of disabled individuals, including special education, the American with Disabilities Act, and accommodations for “high stakes” testing including licensing examinations. Tom advises parents regarding eligibility, evaluations and the preparation of Individualized Education Plans (IEPs), and assists them in obtaining accommodations for their children under Section 504 of the federal Rehabilitation Act. To RSVP, please sign up here. We welcome friends and families to attend our Open House event, Wednesday April 10th, 2019 from 9am - 11am! Families are invited to our Opening Circle, tour the school, and enjoy an informal conversation with Laura Soulages, Director of The Cottage School. Please contact us here to RSVP. As part of our ongoing series of workshops for The Cottage School parents and community members, our adult-ed poetry instructor, Phil Rosenbach, will lead a poetry class beginning at 6:30 p.m. on Thursday, April 18. No experience is necessary and all are welcome. This workshop is open to the public so feel free to bring a friend! In our last poetry class we looked at poems addressing political themes. Phil has adopted a suggestion made at the end of that class and this time will be focusing on problems involving relationships. As always, we will look at short, understandable, well-written poems. We will discuss makes a poem successful or unsuccessful, interesting or boring, fun or tedious.If you have a favorite poem, bring it to the class for reading and discussion. We will focus on English-language poems but may also take a look at poems in other languages as well. Please RSVP online, email info@thecottageschool.net or calling (908) 719-9610. Join us for Mondays on Education, A Positive Discipline workshop with Dr. Jason Rodker and The Cottage School’s Director, Laura Soulages, on April 1st, and April 8th, 9:30 - 11:00 am. These are both free workshops for adults and we encourage friends and parents to bring their friends! 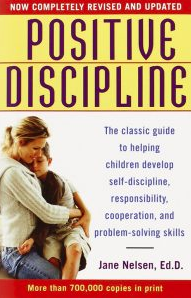 An approach to discipline based on the work of Alfred Adler and Rudolf Dreikurs, Positive Discipline is designed to teach young people to become responsible, respectful and resourceful members of their communities, and teaches important social and life skills in a manner that is deeply respectful and encouraging for both children and adults. Juana Guglielmino, Arielle Leva, and Isabel Iwachiw are second-year occupational therapy graduate students from Kean University. Juana helped with The Cottage School’s summer program for many years and then taught preschool and elementary for a year before entering the graduate program. She found occupational therapy because of her love for working with children and she believes that OT is for everyone. Arielle found occupational therapy as a second career. She comes from a background in environmental studies and believes that connection to nature is essential for health and well-being. Her interests lie in integrating the natural world and occupational therapy to promote healthy development and an invaluable sense of wonder. As a former athlete, Isabel values and appreciates the benefits of physical activity and the positive outcomes it can yield with respect to emotional, social, cognitive, and physical well-being. Her occupational therapy graduate school experience, coupled with being a lifelong athlete, has guided her interest in child development and the positive benefits of play and physical activity. We welcome friends and families to attend our Open House event, Wednesday, March 13th, 2019 from 9am - 11am! Families are invited to our Opening Circle, tour the school with Kirby Baldwin, and enjoy an informal conversation with Laura Soulages, Director of The Cottage School. Please contact us here to RSVP. We welcome friends and families to attend our Open House event, Wednesday February 27th, 2019 from 9am - 11am! Join us for our Mondays on Education: “Bullying in the Age of Technology” workshop led by Dr. Jason Rodker, a current Cottage School parent, Monday, February 25th, 9:30 - 11:00 am. What is a parent's role when their child is the victim of bullying? What should a parent's role be when their child is the bully? How might we go about reducing the incidence and impact of bullying? Such questions become even more complicated in the highly technological and media saturated world in which our children live. In this workshop, we will discuss ways of helping children to deal with the interpersonal problems of bullying and victimization. Special focus will be given to some of the most common approaches to intervention, as well as possible new ways of addressing this issue. Dr. Jason Rodker earned his undergraduate degree, as well as a Masters degree in Counseling Psychology, from Rutgers University. During his training he worked in a therapeutic school for children and adolescents at the University of Medicine and Dentistry of NJ. While earning his doctorate in Child-Clinical/School Psychology at Pace University, he continued his training by working with adolescents and young adults dealing with anxiety and depression, adjustment to life transitions, gender and sexual identity issues, and relationship difficulties. During his internship and fellowship training at Youth Consultation Service, Dr. Rodker developed specialties in child and play therapy. He has worked with children of all ages and with a variety of presenting issues, including disruptive behaviors, mood dysregulation, adjustment difficulties, attachment issues, and trauma. As a certified school psychologist, Dr. Rodker has worked on Child Study Teams in traditional and alternative school environments. Dr. Rodker currently works in private practice with children, adolescents, and adults, working with individuals and families. If you’re interested in attending this workshop, please RSVP here. Join us this spring for our Mommy/Daddy & Me Program, Tuesdays 9:30 am to 10:30 am! Parents and caregivers will have the opportunity to come together with their child(ren), birth up to 24 months, in a warm, nurturing environment, centered around The Cottage School’s philosophy. Each week there will be storytelling, songs, finger plays, rounds, and other activities that will fulfill the children and parents alike. In addition, age-appropriate manipulates for fine and gross motor development will be available for the children. If you’re interested in participating, please fill out our online registration form. Anthony (Milo) Miller, a Cottage School teacher, will lead the Spring 2019 session. Milo received his bachelor’s degree in Psychology from Rutgers University in New Brunswick, New Jersey, and his master’s degree in K-6 Education from Holy Family University, Philadelphia, PA. Prior to joining The Cottage School in 2015, Milo was a lead teacher in early childhood classrooms and a mentor for youth for nearly two decades. Milo brings humor, insight, and creativity to the learning environment. He enjoys sharing his love of nature, building and landscaping, fitness, and culinary arts with students and his three lively children. The Cottage School will be hosting an informative educational session for parents who are interested in the elementary program for their children on Monday, February 11th from 9:30am to 11:00AM. Our students enjoy school and are engaged members of our community because their individual curiosities and creativity are nurtured in a non-competitive environment. The Cottage School emphasizes the learning process, forming patterns of learning in an environment that is free from pressure, which is a unique quality in today’s achievement-obsessed educational culture. This workshop is specifically designed for parents to understand our pedagogy and curriculum. In addition, our elementary school parents will share their thoughts on Why Cottage School Elementary? Our elementary school teaches children ages 5 through 14, with its unique, well-rounded academic program integrating traditional subject areas of language arts, literature, foreign languages, mathematics, natural sciences, world studies, physical education and the fine arts, in a cooperative- not competitive environment. Using the NJ Core Curriculum Content Standards as its foundation, The Cottage School has developed its own curriculum and materials to exceed expectations on many levels. Please refer to our interviews from alumni Emily Vasconez and Francisco Guglielmino and their experiences at The Cottage School. If you’re interested in attending this workshop, please RSVP here, or email liza@thecottageschool.net or call 908-719-9610. On Thursday, February 7 from 7:00 to 8:30 PM, The Cottage School will be hosting “A Day in the Life of a Cottage School Student.” This event is great for current Cottage School parents to come see what their children are up to, as well as families who are considering the school to gain a better understanding of our teaching methods and atmosphere . Come back to school to catch a glimpse of what the children here do, including opening circle (which includes story time, songs and rounds), math, language arts, and Spanish class. This is your opportunity to experience our unique teaching tools hands-on. Bring slippers if you want to get the full experience! Please RSVP here or email liza@thecottageschool.net or call 908-719-9610. We welcome Cottage School parents and friends to our Mindfulness workshops! Please note that our workshops are for adults only. Mindfulness is becoming a popular method for use with children to help them to learn to center themselves, become aware of their emotions, and improve focus. Current Cottage School parent, Toni Welsh, will discuss what mindfulness is, what its benefits are, and how to incorporate it into daily life. Dr. Antoinette Welsh is a licensed psychologist in New Jersey and New York specializing in neuropsychology who works with individuals with traumatic brain injury, stroke, dementia, memory loss, brain tumors, epilepsy, multiple sclerosis, ADHD, and other conditions affecting cognitive functioning. Toni (Dr. Welsh) has an interest in mindfulness, particularly the effects of mindfulness based interventions on cognitive functioning. She has had experience running mindfulness groups with a variety of populations including The Cottage School students and enjoys using mindfulness techniques within her own family. After graduating from Lafayette College with Bachelor of Science degree in Neuroscience, Dr. Welsh went on to earn a Master of Arts degree in Mental Health Counseling and a Doctor of Philosophy degree in Counseling Psychology from Seton Hall University. She completed a concentration in neuropsychology, focusing her studies and clinical experience in both adult and pediatric neuropsychological assessment, including training at the New York University Comprehensive Epilepsy Center, Hackensack University Medical Center, and Kessler Institute for Rehabilitation. If you are interested in attending any of these workshops, please RSVP here. Please note that our workshops are for adults only. We welcome friends and families to attend our Open House event, Wednesday January 16, 2019 from 9am - 11am! This spring semester, The Cottage School is pleased to offer free folkdancing classes for adults. 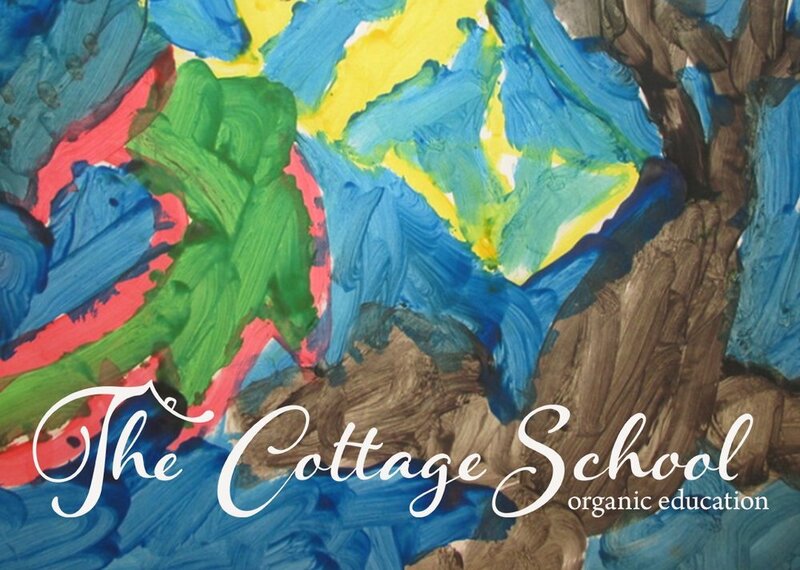 Our programs are open to current Cottage School parents, as well as to the public! If you would like to participate in this program please fill out our registration form. Konny Fernandez, a Cottage School teacher, is a certified Zumba instructor. Konny's class will feature kid-friendly routines based on original Zumba choreography. She breaks down the steps, adds games, activities and cultural exploration elements into the class. Laura Soulages, a seven-year Zumba instructor, will supervise the program. This spring semester, The Cottage School is pleased to offer Russian Language Immersion for adults. Our Russian classes are open to all current parents and all members of the community. Please see below for further details. In foreign language immersion, the focus of instruction is on the activity and not in the structure of the language. Students who are immersed in the language are able to experience a living-language. The structure is absorbed in a meaningful context. Grammar is absorbed naturally and taught as the understanding of the language develops. The Cottage School offers Spanish Language Immersion opportunities for students. Classes begin on February 11, 2019. In our program, children learn Spanish by singing folk songs, play-acting, art activities, traditional games, writing and drawing in books and reading aloud original prose, poetry and folktales. The teacher speaks only in Spanish in much the same way a mother would at home. This natural approach to learning also helps students master other foreign languages later in life. If you would like you or your child to participate in this program please fill out our registration form. Monday, December 3rd from 9:30 to 11:00 am, The Cottage School will be hosting "Mondays on Education: The Power of Play," a free discussion led by Dr. Jason Rodker. Play is fun. As adults we seek play as a respite from daily life stress. Adults generally think of play as a frivolous activity to engage in only if/when the more serious matters of the day are attended to. However, to children play is serious business and it is essential that they prioritize play each day. Play is the work of childhood. Children use play as a primary means of communicating, learning, and connecting. When adults support a child's natural inclination toward play, the child comes to know his/herself in a deep way. The self knowledge that results from this serves as a foundation for resilience and inner security throughout life. This workshop will emphasize how we as adults can utilize play to connect with our children in ways that promote optimal development. If you’re interested in attending this free workshop, please RSVP online, email liza@thecottageschool.net, or contact us directly at (908) 719-9610.